WEST DUNDEE, Ill. – The Darbies are a rock n roll quartet forged in the majestic and azure city-tide of the west end of Los Angeles. Like many bands before them, The Darbies are tinged with that peculiar, mythic brilliance that characterizes the musical portraiture of the teeming Los Angeles soundscape. 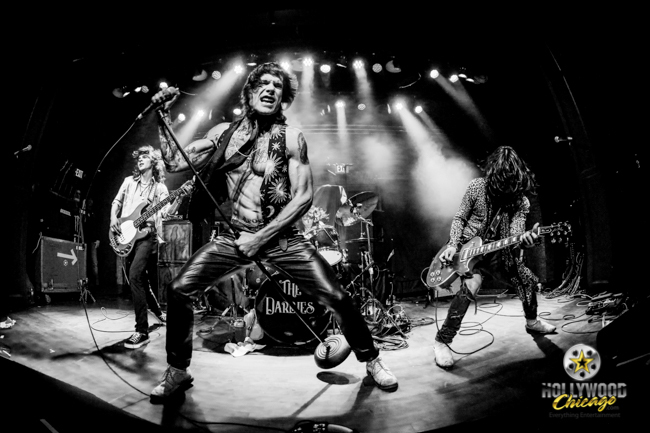 Young, ambitious, persistent and forged with an undeniable devil-may-care-vintage-rock swagger, The Darbies are climbing to the top with a rapidity matched only by the sweltering charisma of their captivating musical presence, and breathtakingly cathartic live performances.